We offer upholstery cleaning services as an inexpensive maintenance option to protect your furniture in Winston-Salem. 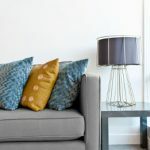 Since we don’t walk across our chairs, sofas and love seats with our feet and there aren’t heavy dirt marks on them, most people don’t realize how heavily soiled these upholstered items can become. Dead skin cells, oils, dust, food, grease and other contaminants collect on your upholstery and can only be removed with a thorough, professional upholstery cleaning. 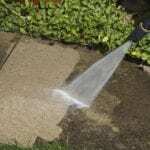 At Steam Source, our highly-trained cleaning technicians can have your upholstery sparkling clean and ready for use in just a few short hours at your home or business in Winston-Salem, North Carolina. We know you put your hard-earned money into purchasing your furniture, and with that in mind, we offer upholstery cleaning services as an inexpensive maintenance option to protect your investment. Using the same hot water extraction method on your furniture that we do for carpet cleaning, but with reduced force for your more delicate upholstered pieces, our thorough cleaning allows your upholstered fabric to retain its fresh and clean look and feel. In carpeted homes and businesses, 80% of the dust and dirt brought in settles into upholstered furniture. The reason for this is that the fabric fibers of your upholstery often act as a filter, causing your furniture to collect pollen, soil, dust, body oils and much more. By professionally removing these contaminants from your upholstery, you can improve the indoor air quality of your home or business and create a healthier environment for everyone. With our professional upholstery cleaning, we will carefully identify each fabric type to determine the best cleaning method and complete gentle cleaning that leaves your fabrics in their best shape possible. 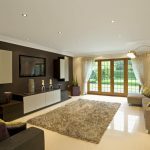 All of our cleaning specialists are properly trained on the cleaning techniques required for various upholstery fabrics, and we will always work to ensure that your furniture gets the proper care it deserves. Having your upholstery cleaned on a regular maintenance schedule will give your home or business that extra boost towards a crisp, clean appearance. 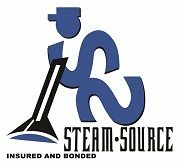 Call us at Steam Source today for a free estimate!